‘Ready for change’ read a sign on the Mercedes-Benz pavilion. It signifies the marque’s new electric mobility sub-brand, yet unknowingly it also highlights another fundamental shift. From the hundreds of cars on exhibit at Mondial de l’Automobile, many will never be sold, some will cease production after just one cycle. Making cars is costly, creating new models even more so. It’s evident how we consume cars is changing, yet many car companies seem hesitant to truly readdress the workings of the industry. Exhibiting at motor shows is also quite an investment. The halls of Paris Expo looked suspiciously sparse with the likes of Bentley, Rolls-Royce, Lamborghini, Aston Martin, Volvo and Ford opting out this year. New reveals happen online weeks ahead so there are few surprises at motor shows, and the public are simply not attending en masse. Much like the industry itself, the conventional show format feels tired. Yet, the show must go on, and on it did with a trickle of interesting production and concept cars. Jaguar Land Rover revealed the new Defender, an all-important model for the marque to live between the luxurious Range Rover and soon to be updated rugged Defender. Land Rover is the unrivalled SUV expert, and Defender is testimony to this. The design is simple yet clever, with a focus on providing the perfect family car with optimised seats that configure in seemingly infinite ways, to sit seven adult-size occupants comfortably. There were one or two pretty fun concept cars on display too. It is hard not to smile at the Vision Mercedes-Maybach 6, a gloriously sculpted 6m-long flaming red electric coupé, composed by design boss Gorden Wagener to the theme of ’passion’. Renault’s Trezor concept is also an ode to love – this almost retro low-slung electric GT concept, with slightly more modest proportions than the Maybach, is propelled by the company’s Formula E racing technology. However, in the wake of the recent diesel scandal, most eyes seemed firmly focused on Volkswagen. The car giant responded by presenting a clever and clean all-electric autonomous small car concept, dubbed ID. 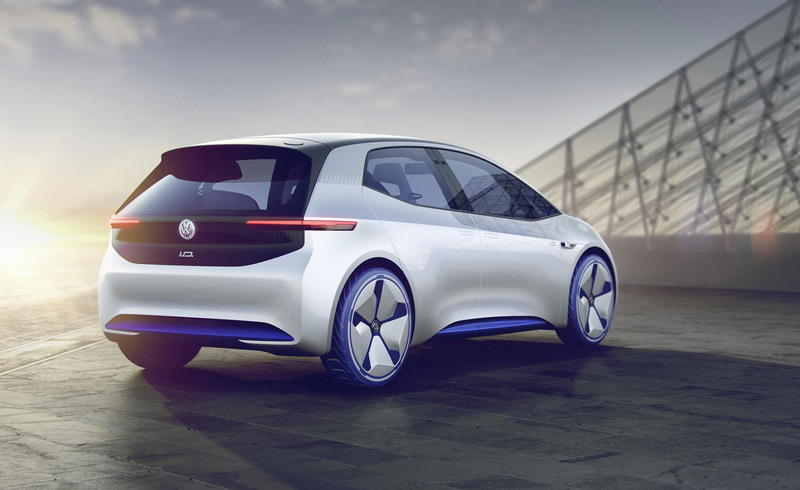 It will launch as a compact electric car by 2020, running in parallel to the VW Golf and forming the core of an ambitious plan to sell a million electric cars by 2025. Meanwhile, Mercedes’ case for electrification involves creating a dedicated sub-brand. Much like the BMW i brand that came before it, EQ (electric intelligence) promises a sustainable mobility ecosystem, including both products and services, starting with Generation EQ, unveiled here in Paris. Elsewhere, it was at the few satellite pop-ups where the exhibitions felt a little more contemporary in their execution. For the launch of the new Discovery, Land Rover scored a Guinness World Record for the largest Lego structure ever built – a life-size Tower Bridge revealed across the water near the company’s headquarters. Meanwhile, BMW exhibited a couple of customised i3 and i8s configured by Lapo Elkann and his Garage Italia Customs consultancy, inspired by 19th century pointillists and unveiled at the very other end of town on Avenue George V.